What constitutes slave labor on coffee plantations in Brazil? What are root causes and risk factors? Today, CRS releases a policy brief that answers those questions and examines the challenges of enforcing some of the strictest antislavery laws in the world. Farmworker Protections and Labor Conditions in Brazil’s Coffee Sector: Exploring Isolated Cases of Modern Slavery, based on research by CRS partner Repórter Brasil, defines clear actions that governments, the coffee industry and consumers can take to join the battle against trafficking, slavery and forced labor. 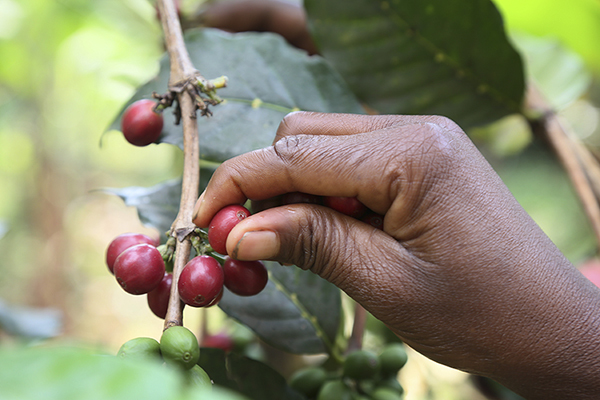 Coffee companies in the United States should encourage their Brazilian trading partners to join the Institute for the National Pact to Eradicate Slave Labor (InPACTO), and support these partners in their commitment. Public officials in Brazil should invest in strengthening labor rights enforcement and prioritize coffee-sector engagement. Policymakers in the United States should continue to allocate funds to federal programs and expand public-private partnerships designed to end human trafficking and slavery. This includes passing the Business Supply Chain Transparency on Trafficking and Slavery Act, requiring U.S. companies with at least $100 million in annual sales to report every year on their efforts to keep trafficking and slavery from happening in their supply chains. Companies would also be required to report on the policies and procedures put in place to identify and remediate trafficking or slavery. Coffee drinkers in both countries should urge their elected officials and leading coffee brands to adopt these measures. Learn more about the report and how you can help.